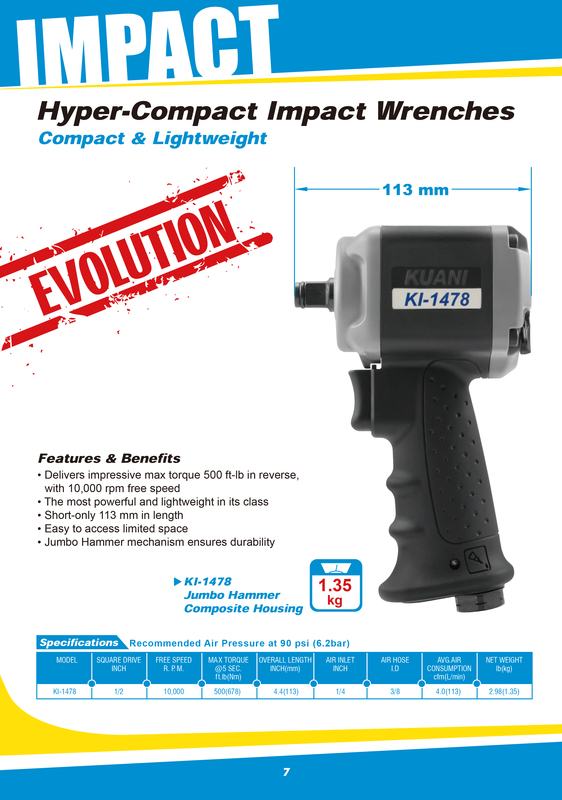 KUANI now offer a new solution for removing stubborn nuts or bolts in places where a regulate impact wrench cannot access. 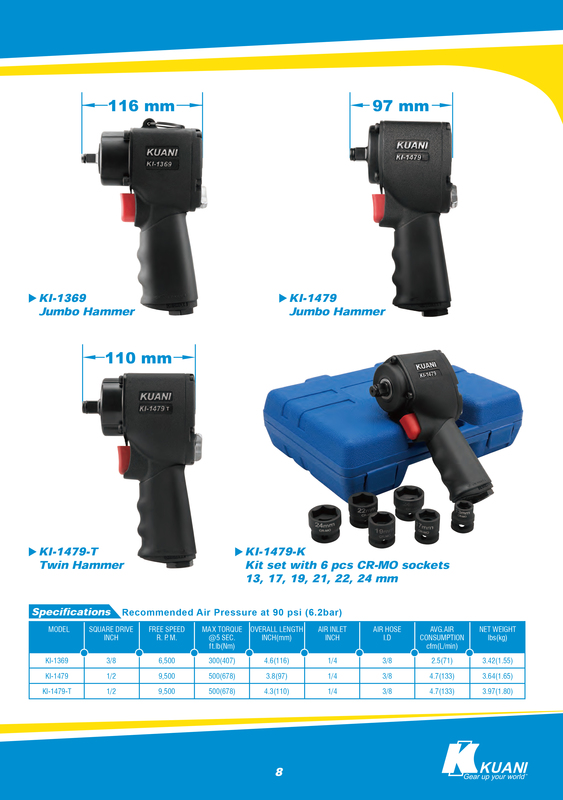 KI-1478 is the most powerful and light weight in its class ,it delivers impressive max torque 500 f t-lb in reverse ,with 10,000 rpm free speed and only 113 mm in length. SQ. DR. R.P.M ft-lb N.m.